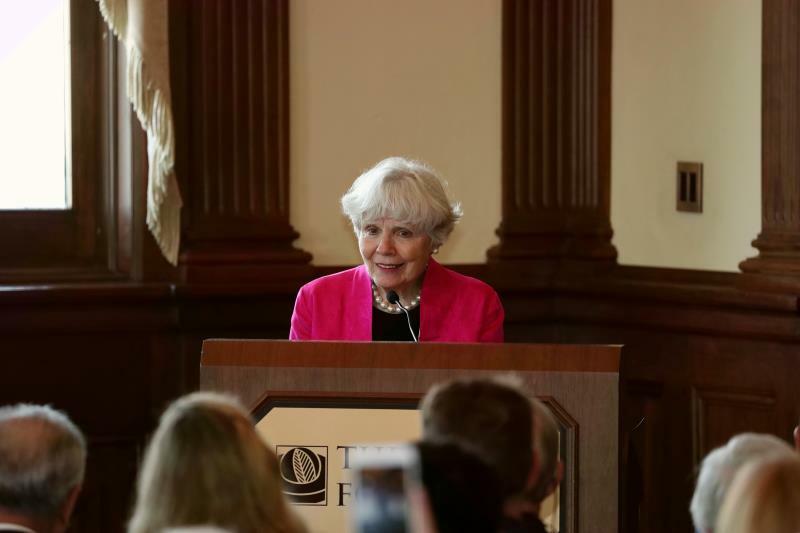 On May 3, 2018, the book launch for Mrs. Sarah Lande’s memoir "'Old Friends': The Xi Jinping-Iowa Story” was held in Des Moines, Iowa. Ambassador Cui Tiankai, Vice President Xie Yuan of the Chinese People's Association for Friendship with Foreign Countries (CPAFFC), Consul General Hong Lei, Mr. Bai Runzhang, Mr. Xia Wenyi, Ms. Sarah Lande, Mr. Luca Berrone, witnesses of President Xi’s visit to Iowa in 1985 as well as other China-US friendship supporters spoke at the event. Secretary of State Paul Pate of the State of Iowa, President Kenneth Quinn of the World Food Prize Foundation also spoke at the book launch. US Ambassador to China Terry Branstad and Iowa Governor Kim Reynolds sent congratulatory letters to the event. 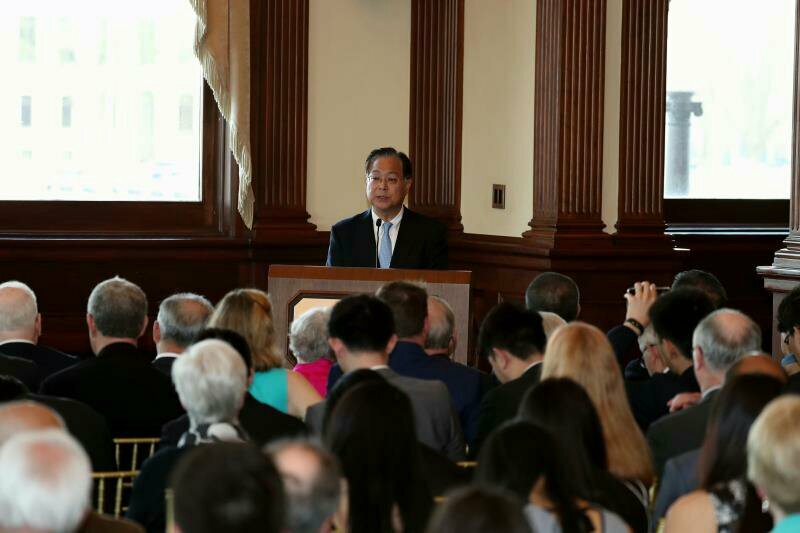 More than 200 Chinese and American guests attended the book launch. 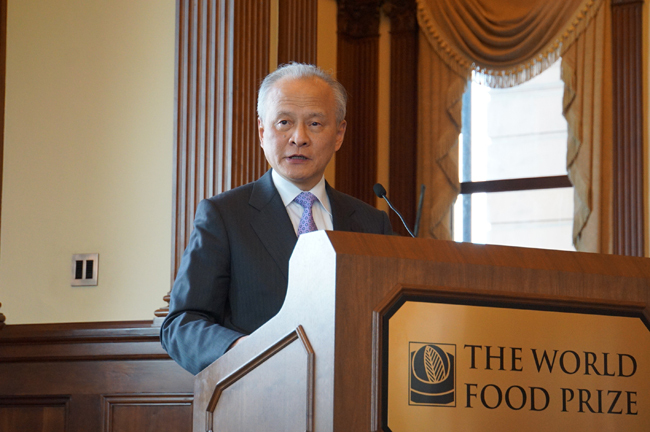 In his address, Ambassador Cui Tiankai expressed his warm congratulations and heartfelt gratitude to Mrs. Lande. 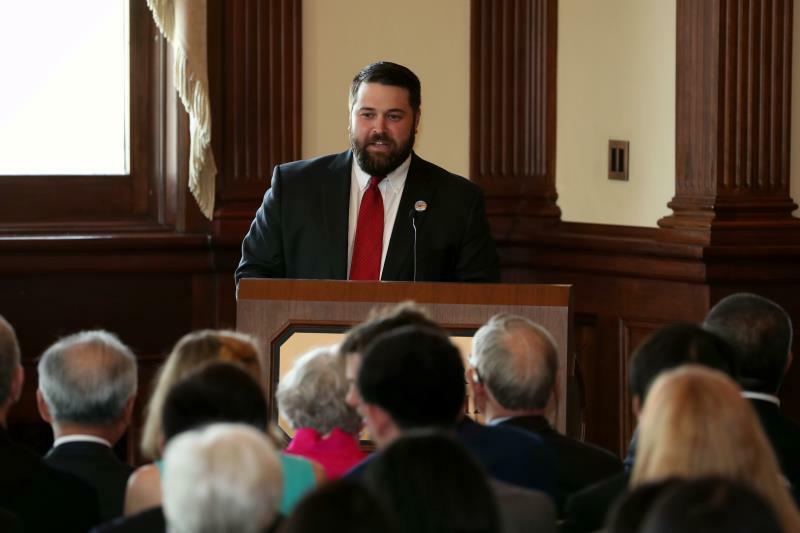 He said that Mrs. Lande’s faithful record of the long-lasting friendship between President Xi Jinping and the people of Iowa is a vivid portrayal of the friendship between the peoples of China and the United States. A seed of friendship between Iowa and China, planted during President Xi’s 1985 visit, has finally grown into a towering tree. The story of President Xi Jinping and Iowa is especially touching and inspiring. This is a story about friendship, trust, openness and cooperation. The comprehensive and robust development of China-US relations in the past 40 years has served the interests of our two peoples. The story of President Xi Jinping and Iowa is an epitome of this broader history. In the future, China and the United States should further build up their friendship, be more open to each other, and deepen mutually beneficial cooperation. 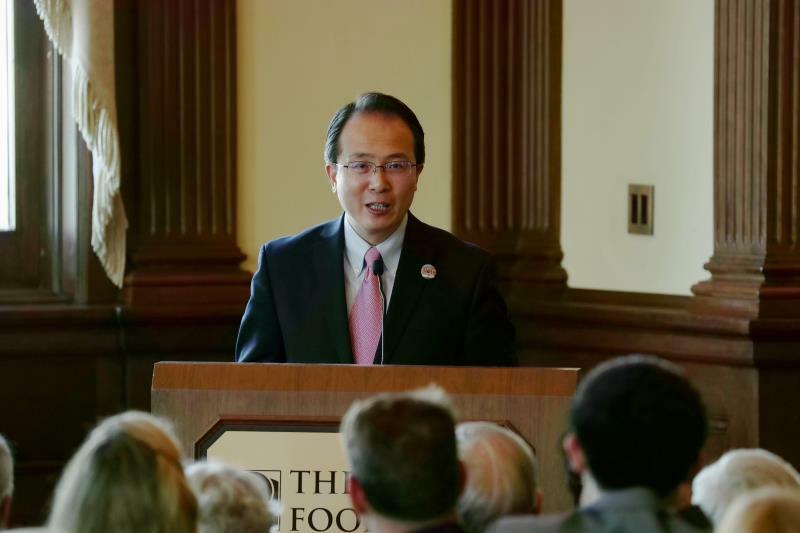 In his speech, CPAFFC Vice President Xie Yuan said that Mrs. Lande’s memoir provides a vivid example of humanity, friendship and righteousness. The people-to-people exchanges between China and the United States will help deepen mutual understanding and friendship between the two peoples. It is an important pivotal force for the healthy and stable development of China-US relations. This friendship between ordinary people of the two countries needs to pass on from generation to generation. Consul General Hong Lei said that Mrs. Lande’s memoir demonstrates the charm of friendship and the power of people-to-people exchanges. The friendly exchanges between China and the United States have a long history. The story of friendship between the people of China and the United States has never been interrupted. President Xi Jinping visited Iowa 33 years ago and opened a new chapter of friendship between China and the United States. 39 years has passed since the establishment of diplomatic relations between China and the United States. After going through ups and downs, our bilateral relationship has now once again come to a new critical moment. The hope for future China-US relations hinges on friendship between ordinary citizens. We should make joint efforts to build cultural exchanges into a major pillar of China-U.S. relations, and forge a wider and more secured bridge of friendship between China and the United States. Mrs. Lande fondly recalled President Xi Jinping’s special relationship with Iowa. She said that President Xi visited Iowa in 1985, sowing the seeds of friendship between the two nations. This memoir is drawn from the friendly exchanges between the peoples of China and the United States with an aim to further deepen the friendship between the two peoples. The stories in the book illustrate the most beautiful friendship between the people of China and Iowa. I hope that this book will serve as a bridge for enhancing the friendly exchanges between the two peoples, helping the two peoples to better understand each other. I will continue to contribute to the friendship between China and the United States. Former Iowa Governor and current US Ambassador to China Terry Branstad and current Iowa Governor Kim Reynolds sent congratulatory letters to the book launch. They praised the special relationship between the state of Iowa and President Xi Jinping. They also stated their support to promote greater development in Iowa-China cooperation. 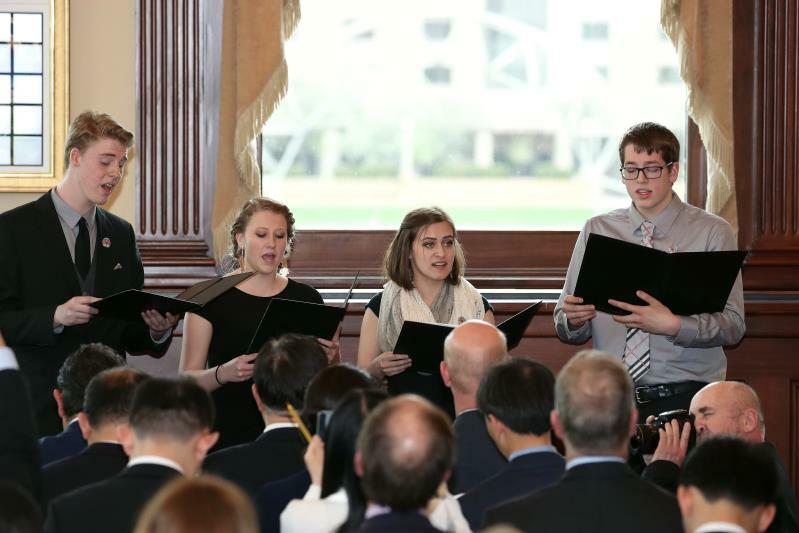 At the book launch, the Muscatine High School choir sang “Lasting Memory” in Chinese, a song that praised the friendship between China and the United States. Mrs. Lande has received President Xi Jinping during his two visits to Muscatine, Iowa in 1985 and 2012 respectively. She is one of President Xi’s old friends in Iowa. Her memoir was written between 2013 and 2018, during which Mrs. Lande has vividly recorded many details of President Xi Jinping’s first visit to Iowa in 1985 and his second visit in 2012 as well as stories of President Xi Jinping’s friendly engagement with old friends in Iowa over the past 30 years. 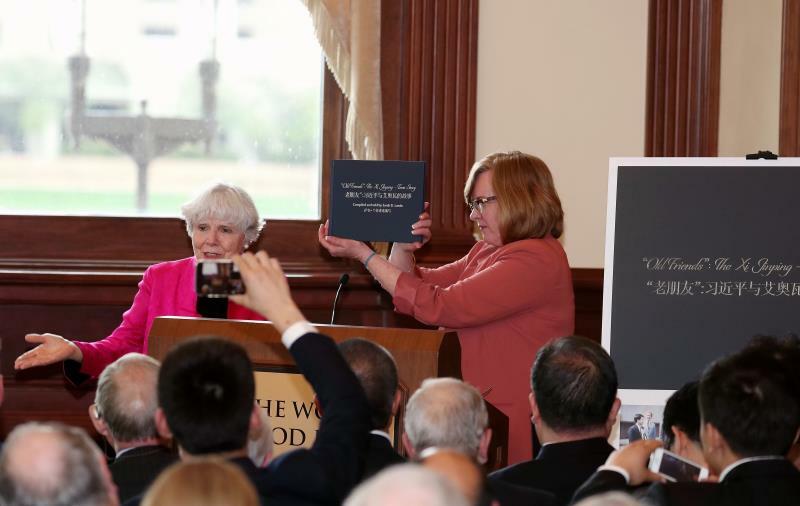 The memoir reflects Mrs. Lande’s appreciation for friendship with President Xi Jinping and her firm support for the friendly relationship between China and the United States.